Pillows!! Those wonderful, small packages of color and pattern that can transform any environment. Big pillows and small ones, fluffy ones, shaggy ones, over-stuffed, ruffled, patterned or plain—the possibilities are endless. 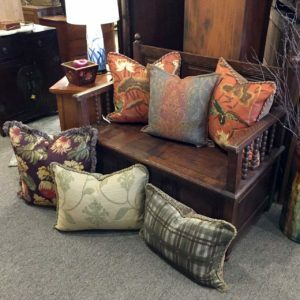 If you are looking for a little quick fix to dress up any room in your home, pillows are one of the easiest ways you can transform a room from boring and drab, to something exciting and new. 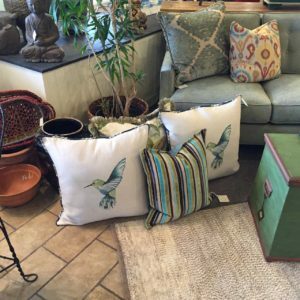 If you must know, pillows are truly the interior designer’s secret weapon! Pillows are great accessories in the living room. As an example, imagine for a moment that you have a simple gray chair in your living room. On the one hand, that gray chair was probably a good idea, gray goes well with lots of colors and patterns. On the other, you have a simple, non-descript gray chair in your living room that almost disappears amidst the rest of the furniture and design accessories in your room. 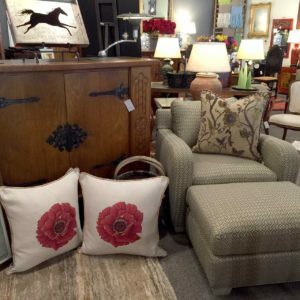 How you “accessorize” that gray chair means there is an amazing array of possibilities when you consider adding a pillow or two. Now imagine that gray chair with the addition of a kidney pillow in bight green and black houndstooth. That gray chair can suddenly take on an unexpected, bold design presence in the room. You might also imagine that same chair as a very elegant seating option when adorned with a beautiful gold velvet damask pillow with tassels. Your turn…what does the pillow in your imagination look like? Pillows in the bedroom aren’t just for sleeping on. Pillows can also be used in the bedroom to update and freshen your current bedding. Even if you purchased your current bedding set several years ago, you don’t have to go out and buy a whole new set to revive the look of your bedroom. 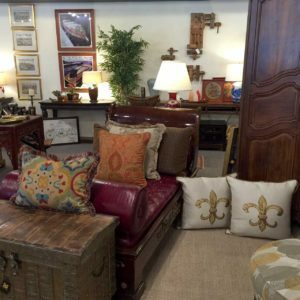 The whole look of the room can be updated just by adding new decorative pillows. Chose pillow that have new and current colors and patterns and you can always have a bedroom style that is au currant. 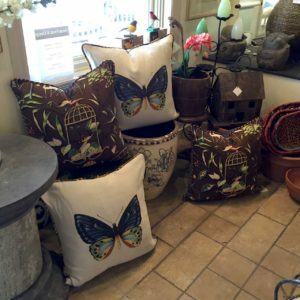 Decorating with new pillows can save you lots of coin. Financially, this is a most reasonable approach to achieving a new look for your home. If your decorating budget is tight, don’t fret. As you’ve read above you don’t always need to go out and purchase all new furniture, bedding, or other major home design purchases. Sometimes all it takes is a few new pillows. You’ll have friends and family wondering how your home always looks new and exciting. Speaking of things exciting: Pegasus Design Group has just launched a brand new line of pillows. 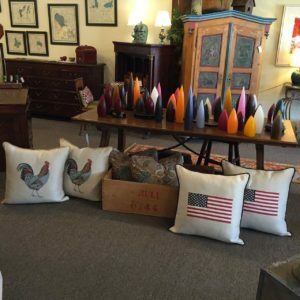 Our new line of Pretty Pillows are one-of-a-kind, made locally. Contact us if there is something special you are looking for.